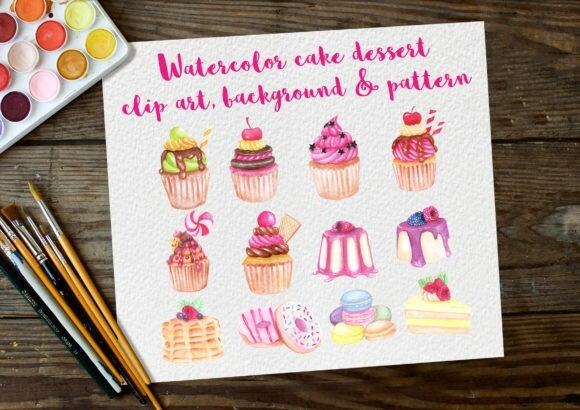 Watercolor Clip Art Dessert Cake These files can be used for invitations, posters, packaging, wrapping paper, stickers, etc. You can create your unique product by using this collection of clipart. You can make sweet special day cards, and make your own patterns. – Layered 1 PSD (PHOTOSHOP) file. All Elements Included. – All elements are high resolution 300dpi. This items is Free File of the week! And available free until March 29, 2019!